Illustrator/Character Designer, Akiman, Returns to Anime Expo 2018! Please visit the Star Ocean: Anamnesis playable kiosks at the Square Enix Booth (located in the Entertainment Hall) to receive an autograph session ticket from a Square Enix staff member. A limited number of tickets will be distributed starting 10:00 AM PT on the day of signing sessions. Akira Yasuda is a Japanese illustrator and character designer, who works under the pen name “akiman”. He began his illustration for the Star Ocean series in 2016 with STAR OCEAN: Integrity and Faithlessness. 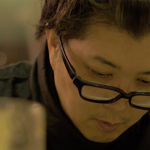 He has also created character designs for the STREET FIGHTER series, Darkstalkers series, and Turn a Gundam, as well as the mechanical designer for Code Geass. Akiman’s participation in AX 2018 is made possible by Square Enix.